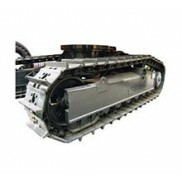 O&K MH CITY Excavator Undercarriage delivers outstanding performance in any excavator application. W..
O&K MH CITY2000 Excavator Undercarriage excels in all applications and all conditions: standard or h..
O&K MH PLUS Excavator Undercarriage must be extremely durable and it is very important to keep the u..
O&K MH2.5C Excavator Undercarriage delivers outstanding performance in any excavator application. We..
O&K MH2.8C Excavator Undercarriage excels in all applications and all conditions: standard or heavy-..
O&K MH2.8D Excavator Undercarriage must be extremely durable and it is very important to keep the un..
O&K MH3 Excavator Undercarriage delivers outstanding performance in any excavator application. We al..
O&K MH4 Excavator Undercarriage excels in all applications and all conditions: standard or heavy-dut..
O&K MH4 PLUS Excavator Undercarriage must be extremely durable and it is very important to keep the ..
O&K MH4 PMS Excavator Undercarriage delivers outstanding performance in any excavator application. W..
O&K MH4CS Excavator Undercarriage excels in all applications and all conditions: standard or heavy-d..
O&K MH5 COMPAC Excavator Undercarriage delivers outstanding performance in any excavator application..
O&K MH5 Excavator Undercarriage must be extremely durable and it is very important to keep the under..
O&K MH5 PMS Excavator Undercarriage excels in all applications and all conditions: standard or heavy..
O&K MH6 Excavator Undercarriage must be extremely durable and it is very important to keep the under..